My first session was “A/B Testing Your Way to Success.” A/B Testing is also known as “split testing.” It is a way to compare two versions to determine which one performs better. For this session they spoke about how to use A/B Testing for social media ads, email and webpages. Audiences know what they like. It provides direct feedback that is actionable. It increases revenue and/or participation. It minimizes debate because you are able to learn is wanted. How do we compare social media messages to determine effectiveness? How many clicked on the ad and completed a transaction allows you to determine your cost per customer for each ad. Try 3-4 different images, headings, etc. Run each version for 1 week, capture what was learned, then update. Strive for a lower cost per customer as you tweak your testing. How do we test messages sent via email? How do we compare use for website pages? At SEFAA, we reviewed our website’s events page.One thing that stood out to us is that we had placed our free events above our paid events. The placement pushes paid events down below the “fold” of the page and viewers must scroll in order to see them. If our goal is to increase sales and participation in paid events, it was recommended to us that the paid events content be given priority, e.g. moved up the page placement. The suggestion was to test this page to see which version performs best. Our email list has just over 2300 contacts and our volunteer resources are quite limited, so A/B testing is a strategy we will employ in the future. We have, however, updated our Event webpage so that Upcoming Events is above Ongoing and Annual events, placing our most current and relevant information above the fold. This was done in late January and Google analytics for that page show a 56% increasein page views from 255 in January to 398 in February. This increase has been sustained through March (373) and April (393). We are planning for a new, mobile-friendly, easily-updatable website to facilitate audience testing. Note how many events your organization holds in a year. Connect with volunteers and get them to become voices for your organization. Encourage sponsors to share events. Create special appreciations for donors, sponsors, grantors, and patrons. Use the social media platform that reaches the majority of your audience. On Facebook, pay attention to your insights. Make sure your social media accounts are verified. Upload .csv files from your email lists to create custom audienceson Facebook and Instagram. Design ads specifically to reach those custom audiences. Use advocacy outside of fundraising. What cause can your organization align with? Ask questions like, “What would you like to see us do with your money?” Gather responses. Testimonials – influencers, artists, celebs, volunteers. Tell your story. Develop a consistent style, voice and tone. Stay aligned to your goals. Create the types of content that people want to share. Create a plan to measure social media metrics. Have a budget and be prepared to spend it. Analyze and adapt. Quickly change. DELETE any dead posts. We primarily use Facebook to reach our audience and we have verified that our Page is verified. Again, lack of volunteers prevents us from designing ads for specific audiences, but we do boost Event posts and create specific target audiences for the boosted posts. We are also now asking more questions to actively engage our audience and our share rate has recently doubled. One benefit of being small is that we can react quickly. For example, we shared an engaging and unusual tapestry piece just after it was posted on Facebook and used that opportunity to plug our upcoming Intro to Tapestry Weaving class. Someday, we’ll have a social media budget. The last session I want to discuss is “How Demographics Impact Your Marketing Messages.” This was an interactive session designed to help us understand the demographic realities of the arts communities, which are very different from the rest of the United States’ population. We were asked (in the session) to locate ourselves in different types of groups to understand how we fit and also learn how others see themselves. It was interesting to learn that outward appearance has very little to do with how people identify their true selves. Next, we brainstormed best practices to use to ensure our organizations are being inclusive. One solution was to allow audiences to identify their preferred pronouns and address them according to their choices. Our audience matches well with the general demographics of arts audiences. We also know, though, that we need to reach younger audiences while retaining our current audience. It is critical that the textile skills, knowledge, and experience that our current members possess is passed on to future generations. It’s a balancing act to craft our activities and marketing to appeal to younger customers without alienating older customers, but we are having success reaching both groups by using multiple images in event descriptions. 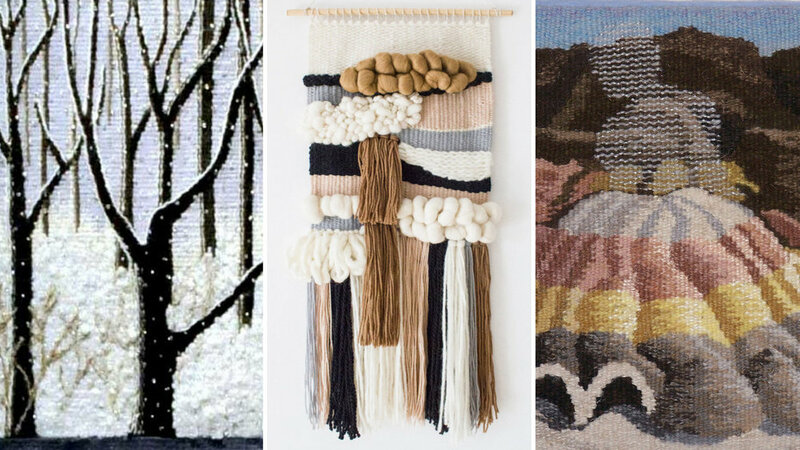 For example, the image for our Intro to Tapestry class below shows both traditional and contemporary tapestry and is visually appealing to a wide audience. We are also cognizant that perception is a two-way street and that our organization is often seen by others as a bunch of little old ladies in rocking chairs. To combat that perception, we choose marketing images featuring younger members, offer programing on current topics like electronic textiles and eco-print dyeing, are expanding our presence on Instagram, and have started offering more low-cost programming. This conference showed how demographics, inclusion, and diversity are essential components for creating a successful marketing strategy for an arts organization and it made the point about constantly trying new marketing approaches and measuring the impact of those changes. Even small, all-volunteer organizations like ours can extend our reach and better target our audience without large investments in time or money. Older PostHow do I get the most from a Google AdWords Grant?